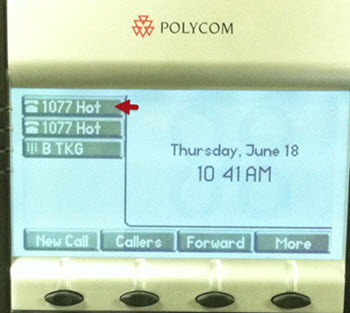 With the 8x8 Hot Desk feature, employees log into a shared phone that immediately behaves like their own extension. They can make and receive calls, and check their messages. 8x8 Hot Desk extensions help employees have a more personalized, secure, and convenient phone experience, whether traveling to other offices or working a shift at a shared desk. For more details on this feature, refer to the Hot Desk User Guide. 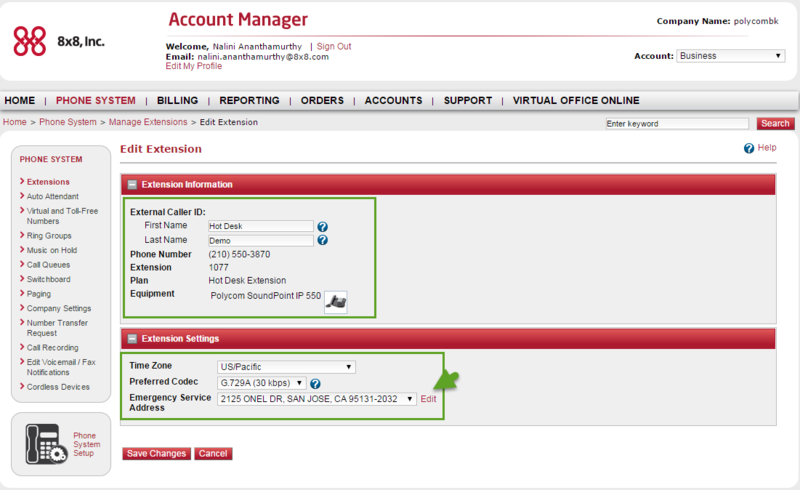 You can configure the caller ID and emergency service address for this extension in Account Manager. Work with your 8x8 sales agent to place an order for Hot Desk hot lines. 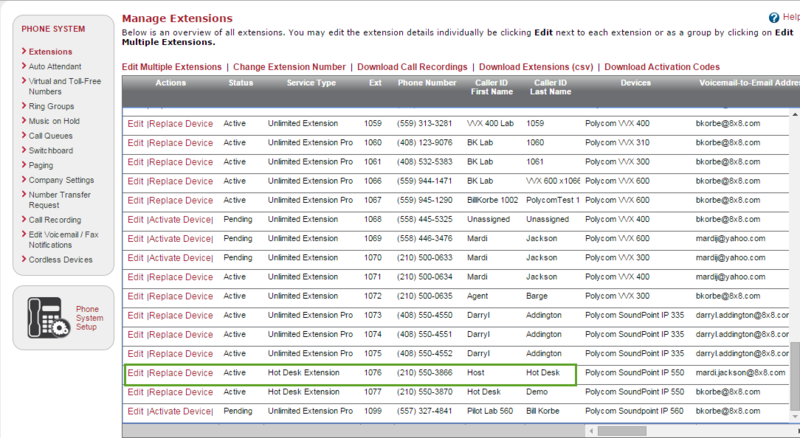 Once the order is processed, the Hot Desk phone extension numbers in Account Manager are listed under Phone System > Extensions.